Are you struggling with social media or website engagement? Is the cost of commercial advertising outweighing the benefit? Do you need to increase attendance and interest in your corporate events? Brands everywhere are seeing incredible results from simple and creative live streaming campaigns for business. Imagine if everyone could view your new product launch or demonstration live. 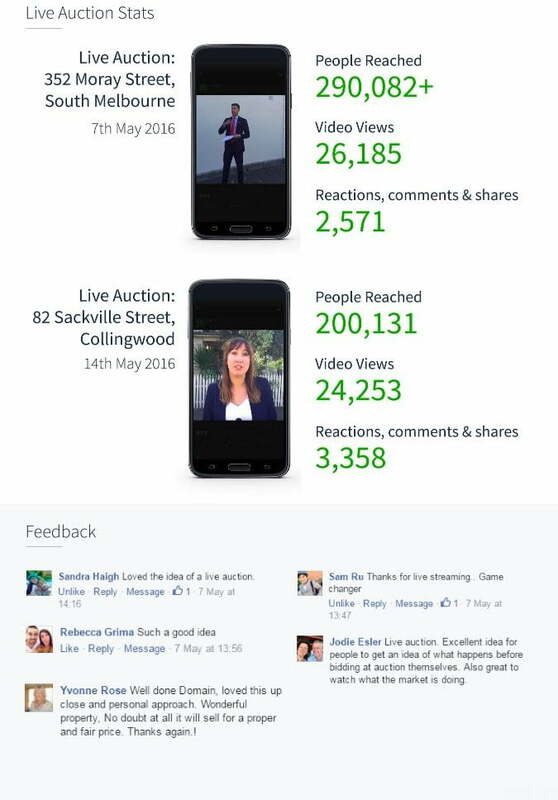 Imagine if your real estate auction is streamed to a global audience in real time. With our first-class and affordable live streaming for businesses, they can. Every business can benefit from a live stream campaign. Engage and interact with a global audience, generate additional revenue streams, increase brand awareness, inspire consumers to act. Imagine. Create. Stream. Celebrate. That’s what we do. “We identified early on that social media was going to change the way people consume editorial and research property,” Mr Catalano said. When it came time for the election of the State Committee of Management from the Fire Brigades Employees Union. They quickly realised that they were not easily going to be able to reach their 6000 members, located across NSW, face to face. We provided a series of Live Streams that allowed candidates access to members directly, whilst taking questions. Ray White Kiama wanted to reach a larger audience when hosting their monthly auctions. So we teamed up with them to meet their needs. Providing a multi-camera live stream production, custom graphics package and backend support. We were pleased to confirm that two of the houses sold live on the night with the third selling by negotiation to a bidder in the following days. Share your event live in the digital arena and achieve a record attendance. With Jum Media on your team, everyone can attend your conference or seminar in real time and in stunning quality. Venue, distance and cost are no longer a concern. When you’ve got something to showcase…stream it! Stream keynote speakers, workshops or live panel discussions. Allow your remote audience to interact in real time. Consumers gain trust in your event through remote viewing. When they know what to expect, and can experience the value, they’re more likely to attend future events in person. Choose your platform, choose your audience. Monetise your stream or simply build awareness. Our live streaming services don’t begin or end with a shoot. We’re videographers, marketers and business people. We don’t just turn up with a camera. We tailor your videography and webcast with several integration and post-edit options to work towards your goals. Would you like a dedicated web page designed for your stream? Our creative team can do that too. We make your live video work for you, our cameras are always aimed at your objectives. Our first class videographers capture every exciting angle, exactly how you intend it to be presented. Whether you’re compiling an affordable single camera stream, or an elaborate multi-camera show with live aerial drone videography, quality is guaranteed. Steam your video live from anywhere, to the audience of your choice. Be it social media, embedded on your website, or streamed to a global audience on your own platform. We offer custom solutions to suit all budgets. Interact with your attendees with real-time social media data feeds, SMS and live chat facilities. You name it; we create it. Our production services don’t end with the live stream. We polish, perfect and edit your video for the ultimate post-live marketing tool. Add graphic overlays, call to actions and TV commercials. You’ve got the ideas; we are the storytellers that make them happen. We’ll bring your plans to LIVE.